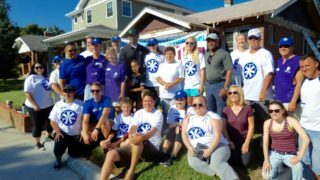 During its long, successful run, the Paint-A-Thon has painted more than 7,400 local house exteriors with the help of more than 133,000 volunteers. And we’re still ready each spring and summer to take on all houses whose eligible owners want and need an exterior paint job at no charge. We’re accepting applications right now for the 2019 season. Please apply early and give us a head start in our planning. Painting a home exterior can cost upward of $5,000—a huge expense for any homeowner. 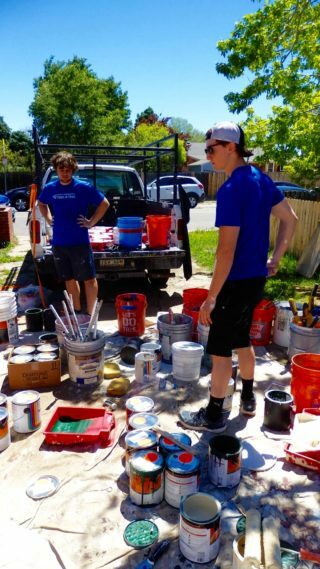 The Paint-A-Thon program offers income-eligible homeowners the chance to save big and devote their savings to their other important costs, such as medication, groceries and bills, while still maintaining their most important investment—their home. To qualify, homeowners must be 60 years or older and/or have a disability, must own and occupy their Denver metro area, and plan to live in it for at least 12 months. The home must be no taller than one and a half stories — and in need of painting! Nominate a neighbor, friend, family member or yourself by calling 720-339-5864, or by emailing chad@brothersredevelopment.org. 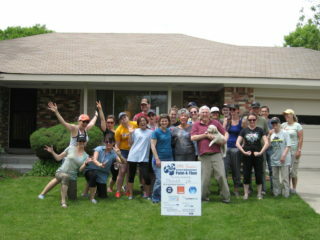 Ask us, and we will brighten up your neighborhood!